A browser extension that makes it easy to save money. Automatically finds you coupon codes as soon as you begin shopping and also at checkout. Applies those coupons automatically for you while checking out. I have been involved with this startup in Miami (FL), from the early beginning. My role was to design and develop their complete identity, branding (including logo), and all of their digital products. 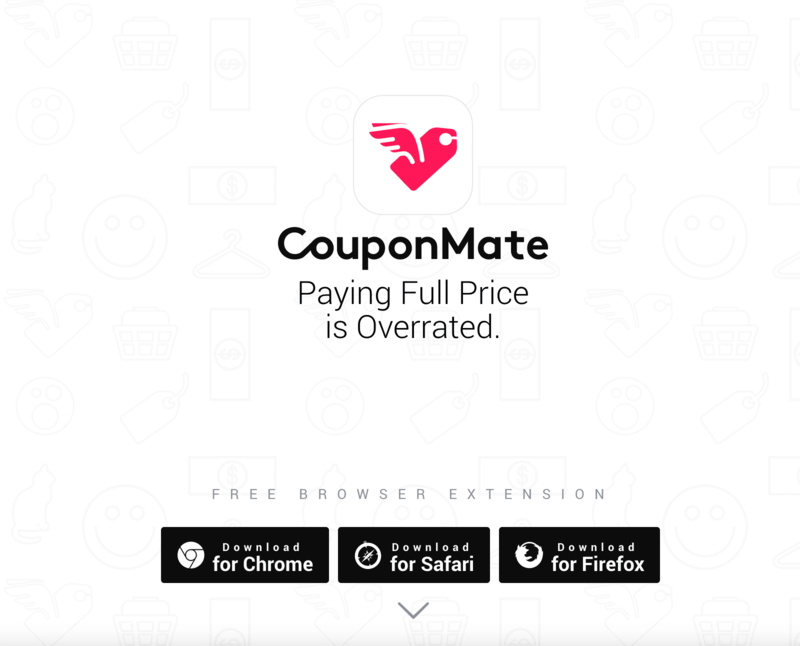 The CouponMate browser extension is one of the digital products I have been working on with the development team. Their target audience consists of people who use printed coupons and online coupons. It’s a broad audience, consisting of tech-savvy hipsters and smart moms and dads who’d like to save money while shopping online. Because it’s a technical solution with a mixed audience, the user experience has played a huge role from the very beginning. The challenge here was to build a browser extension that was easy enough for all types of demographics to use. With the right messaging and promotional material, the goal was to convert website users into extension users. The users of the extension are using CouponMate’s service more frequently. At some point, we launched the browser extension. We had no active users yet and the goal was to make that number grow exponentially. My role was to make those numbers grow through marketing. How could we grow the number of users in the most cost-effective way? I have been categorizing and targeting different types of online communities. To name a few: Reddit, ProductHunt and misc. blogging networks with ‘frugal moms’ as their target audience. As a result of the marketing efforts, CouponMate had a viral start with users from different parts of the world. And their user-base is still growing to date.